"I have a passion for all things design. Good design is all about originality & proportions. In the case of door & cabinet furniture, the impressions you can make on brass in today's world with precision CNC machining allows for absolute perfection. Ultimately good design is something you just have to have an eye for"
Gregory Croxford Living is founded on the fundamental premise on offering our discerning clients the most exquisite, elegant and refined designs of superior quality – for the most luxurious interiors. Owner, Gregory is the fourth generation in a family manufacturing business. The Armac Brassworks company was founded in the early 1900's and to this day, all products are designed & manufactured in our Birmingham, UK factories. After working in the family business for several years, Gregory migrated to Australia. We are honoured to work with amazing clients throughout Australasia. We feel we have a responsibility in the world of design to help push the genre forward yet keeping valuable traditions in terms of craftsmanship and most importantly originality in design. Gregory Croxford Living mission for the future is to remain the number 1 supplier of the world's finest door, cabinet & window hardware. Armac Martin design and manufacture the world’s finest brass cabinet hardware, for the world's finest interiors. Established in 1929 in Birmingham, England. Armac Martin's reputation is built on quality from skills passed down from generation to generation. 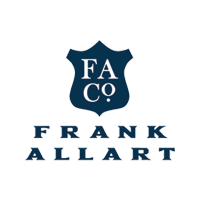 Every product is designed in-house, with meticulous attention given to every detail to ensure that our commitment to design and quality is met time and time again. 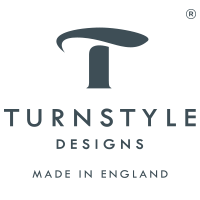 Turnstyle Designs is a boutique manufacturer of beautifully crafted door & cabinet furniture. Working with Italian leathers sourced from the finest tanneries in Tuscany to Amalfine which is proprietary to Turnstyle Designs. Working with organic, integral & high quality materials that add the very personal touch to the whole design process. The company recently won the 'Queens Award for Enterprise'. Having the great pleasure to attend Buckingham Palace to receive the award from Prince Charles.